Banquets (over 50 pax)Yes. With 1 month advance notice. Agehan Japanese Restaurant at the Grand Bluewave Hotel in Shah Alam serves authentic Halal-certified Japanese cuisine, with a friendly smile! 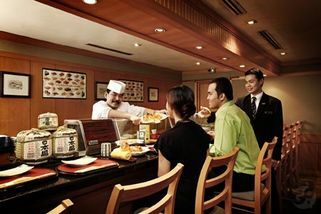 Agehan Japanese Restaurant @ Grand Bluewave Hotel Shah Alam has no review yet. Submit a review!